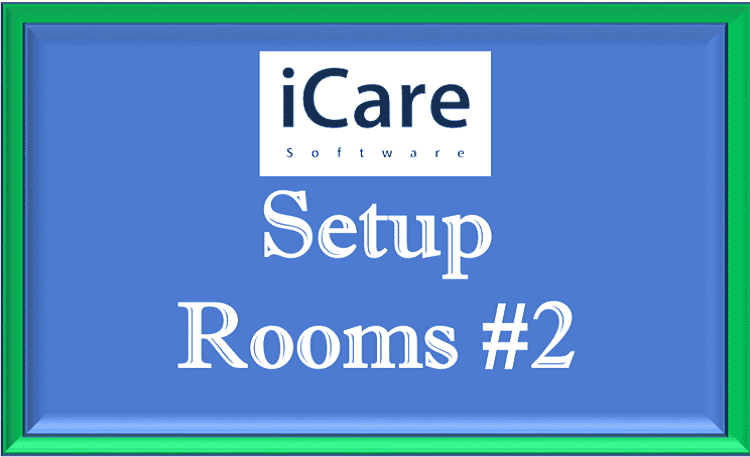 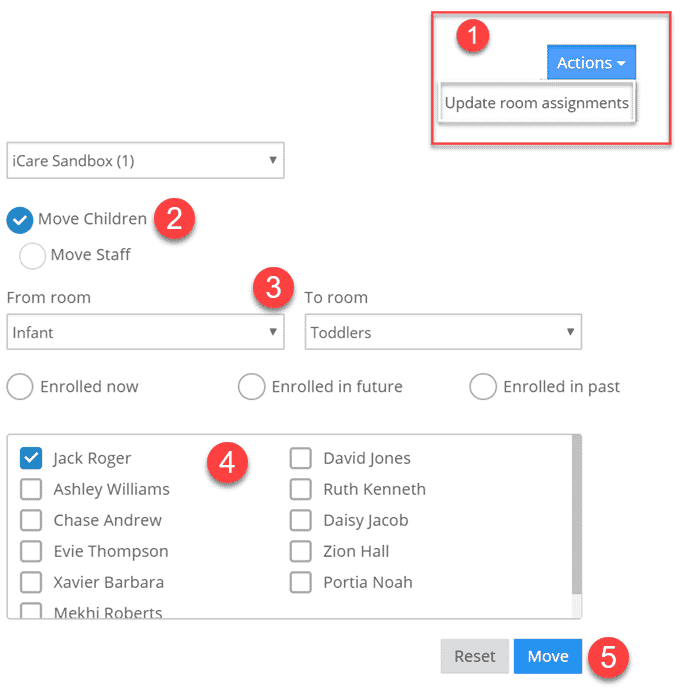 Use the Update Room Assignments Action drop down to move/transfer children or staff from one room to another, (1). 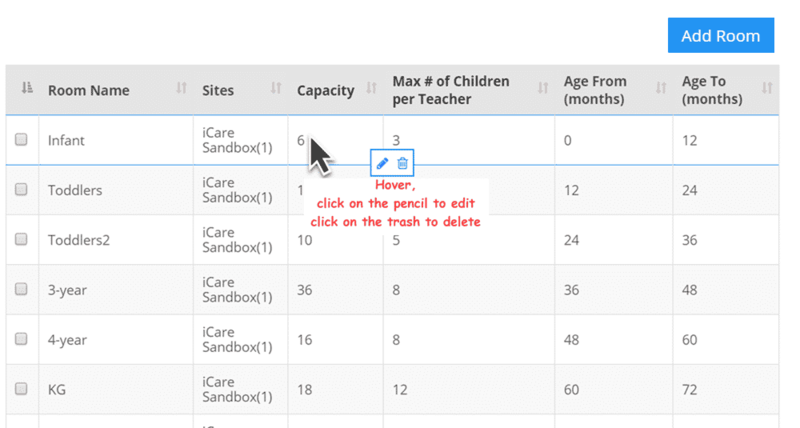 Select children or Staff to move (2), Select the room to empty/move from and the room to add to (3), Select the children (or staff) to move and (4) click Move (5). 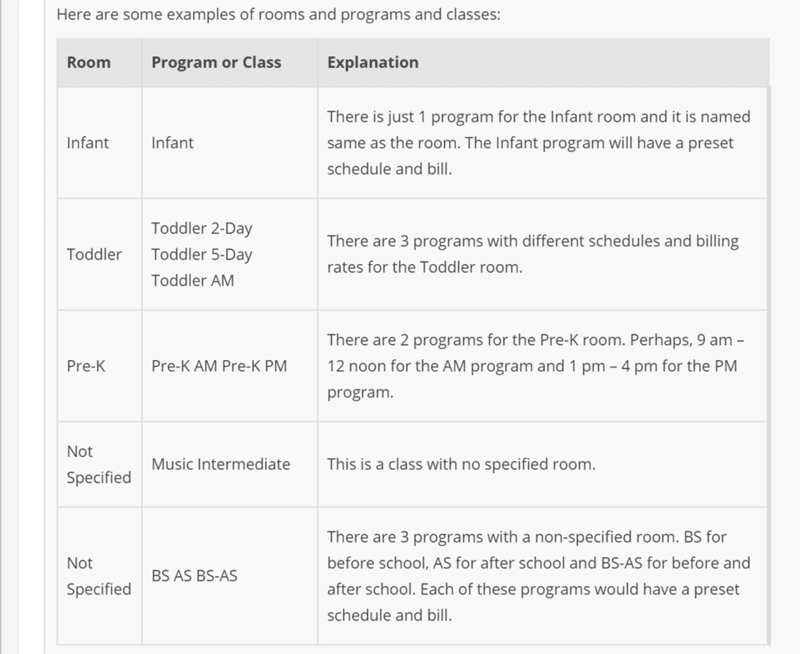 Age-based rooms (or age-based groups) are used for managing child-teacher ratios at your education center. 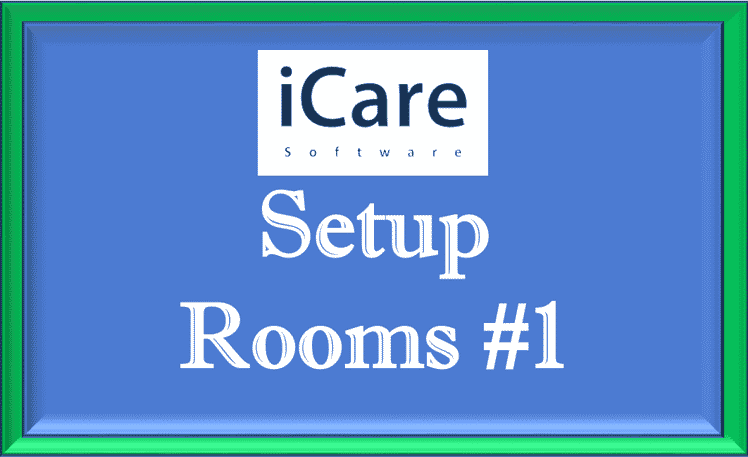 When you add a room, a program by the same name is added automatically. 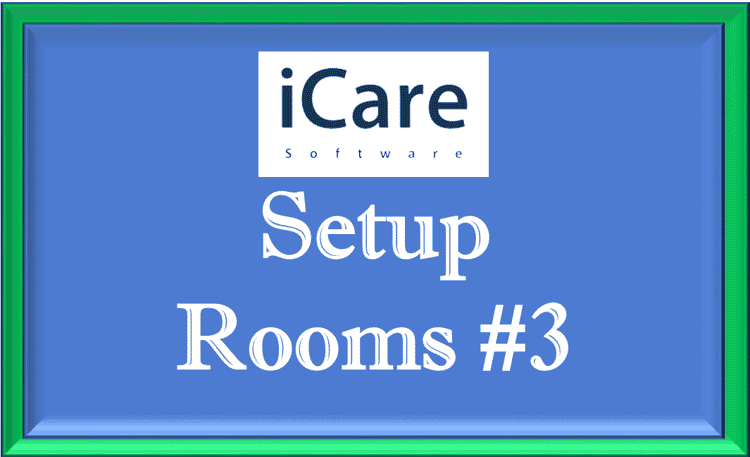 Each room may have multiple programs associated with it.